NSTC is located in Kitakyushu, Japan. (Please refer to the below map.) 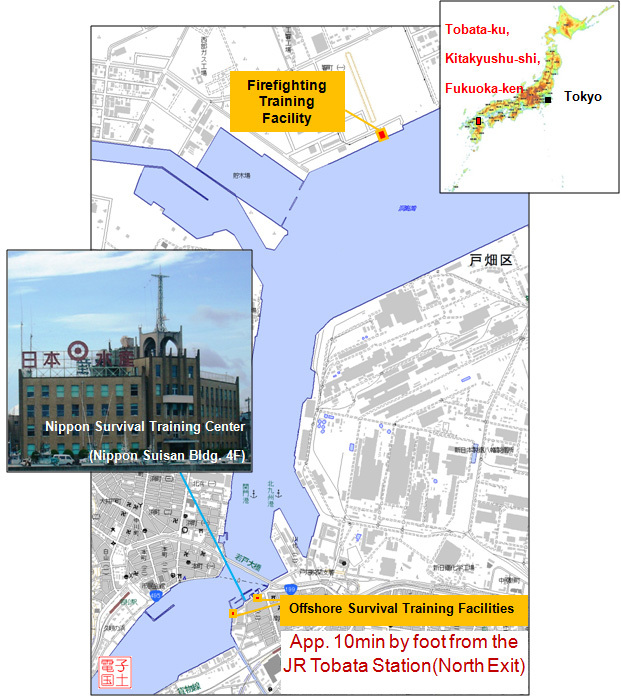 Our Offshore Survival Training Facilities are located approximately 10 minutes (by foot) from the JR Tobata Station (JR Kyushu/Kagoshima-line). Our Firefighting Training Facility is located approximately 20 minutes (by car) from our Offshore Survival Training Facilities. Transportation is provided between the Offshore Survival Training Facilities and the Firefighting Training Facility.